We ran across this news article recently in our archives. 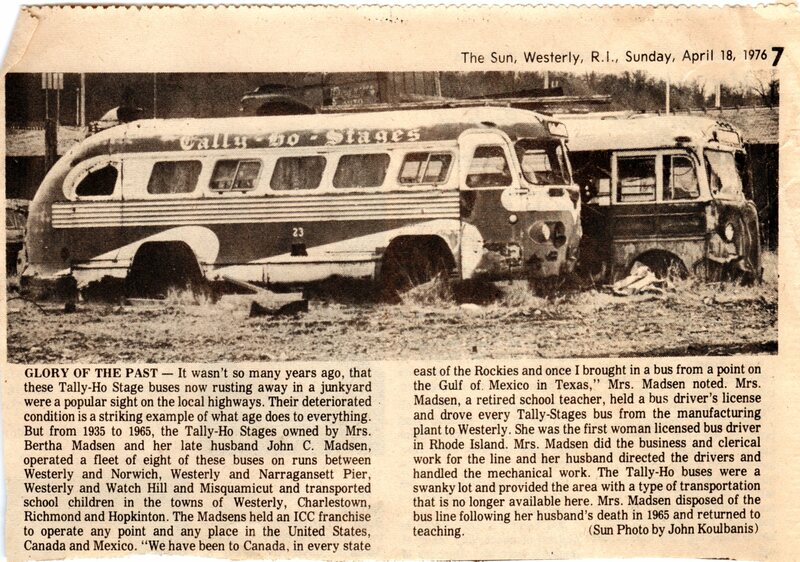 the Tally – Ho – Stages were used to transport school children in Richmond, along with other “South County” towns. Dark sky is a new movement to decrease light pollution. Because of our rural nature, there is a limited amount of street lighting in the area. As a result, there is little difficulty in picking out constellations in the night sky. Imagination has always led to innovation and exploration.